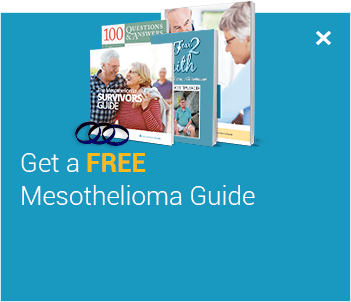 Raise awareness for mesothelioma and the search for a cure. 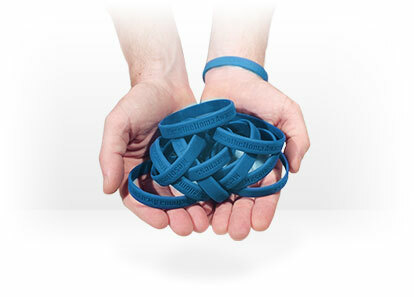 Show your support with these mesothelioma wristbands. Enter your information below to receive your free wristbands. An artist from Rhode Island, Kendra Ferreira has enjoyed a great life with three children and a loving husband. She taught art classes and exhibited her artwork. In 2001, Kendra was diagnosed with mesothelioma after noticing her stomach swelling without any weight gain. She was originally diagnosed with ovarian cancer and had a hysterectomy; then her doctor realized that the cancer had originated as peritoneal mesothelioma and spread to the ovaries. After finding mesothelioma specialists, she took part in a clinical trial surgery, followed by chemotherapy. She was sensitive to many of the chemotherapy blends, but her specialists were able to tailor them to her specific needs, resulting in her recovery. Ten years later, she’s still enjoying good health. After Alexis Kidd began experiencing strong stomach pains, it was determined that she should have her gallbladder removed. During the surgery, her surgeon noticed small "rice-like" formations on her diaphragm & biopsied on the spot. The surprising diagnosis of mesothelioma was verified twice before she was told, and despite these findings all subsequent x-rays, CT scans, and PET scans showed nothing at all. As mesothelioma is rarely found in the diaphragm before it metastasizes, initially she was diagnosed at stage 4. However, it was later determined that her cancer primarily existed on her diaphragm. She went back in for surgery to have the right side of her diaphragm resected and then HiPEC (approved by its creator, Dr. Paul Sugarbaker) performed by Dr. Henry Zaleski, followed by chemotherapy. Alexis credits much of her recovery to her team of doctors and the HiPEC treatment. She lives in Houston, Texas with her husband, punk musician Christian Kidd.